I am becoming convinced that in order to fully understand the work that God accomplishes through Jesus the Messiah on behalf of all humanity we must reflect on God’s original plans for humanity. At minimum, salvation is God’s actions to restore humanity to His original designs for women and men. This text is profound and continues to spark conversations about the essence and purpose of humanity. This passage clearly affirms that every single human being has been created in the image of God (Latin: imago dei). This fact alone raises the implications of any study of this text. Yet, most attempts at penetrating the account of the creation of humanity make the mistake of trying to explain ontologically the meaning of the image of God – in other words, most try to explain the essence of humanity. This text however is more interested in the function and purpose of humanity. Below I will explore briefly two movements in this text and end with some theological reflection in light of the coming of Jesus Christ. A missiological focus is implicit in humanity’s creation in the image of God. In the Old Testament, the word tselem is translated as image. It tends to refer to that which is visible. In other words, imago dei points to humanity as representatives of God in Creation. Throughout the Scriptures, creating visible representations of God is prohibited. It is striking to recognize that in Genesis 1 God created people to serve as a visible image of the divine. We are God’s representative agents. We may read this as a missiological mandate: God created people to be reflections of the Creator God. Humanity stands before the remainder of Creation as a witness to the God who has fashioned the heavens and the earth. Thus, from the beginning of Creation, we see that humans were born for a purpose. 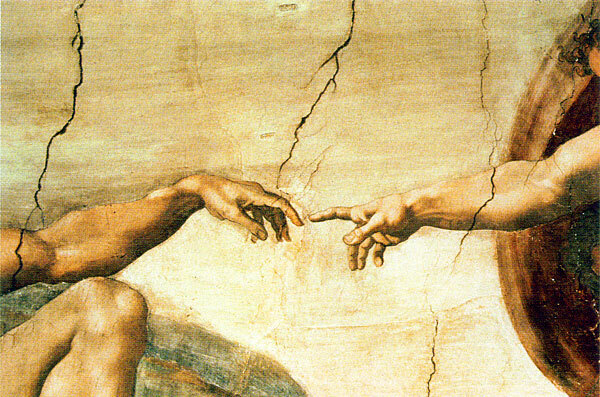 This purpose was to represent the character of God before the rest of Creation. As a result of being forged in the image of God, humans fulfill a key role for God. Humanity was created to rule over creation. In our day, this has ironically been twisted into a warrant for abusing the earth and devaluing our fellow creatures. Genesis does indeed grant a high place to humanity, but this has to be understood in light of a representational authority. Humanity does rule for its own sake or prerogatives. Humanity exercises dominion over creation on behalf of God. The actions of people are to mirror those of God. Humanity’s mission is to reflect God’s character and prerogatives in its exercise of authority. We don’t act for ourselves, but for God and for others. This is the only sort of dominion that Genesis envisions. In its wider context, Genesis 2:15 confirms this reality, “The LORD God took the man and put him in the Garden of Eden to work it and take care of it” (italics added). We may even call this dominion through servanthood. There are two elements implicit in this missiological function: holiness and community. In Genesis 1, it assumed that humanity will achieve its mission of representing God through two key means. Humanity represents God to the World by reflecting God’s character. This is the essence of holiness. Related to this is the reality that God did not create a solitary human creature, but differentiated humanity into its two sexes – male and female. Humanity thus was created to live in genuine community with one another. I call these three themes the GPS for the Bible. It is worth stating that every single person who has ever lived was created for this purpose. There are thus no worthless people. Everyone has amazing potential. The problem is that humanity corporately and individually has turned away from God and sought to find its own way. Through his life, death, and resurrection, Jesus has made it possible for humanity to live out God’s original purposes. By reconciling us to God and filling us with the Holy Spirit, Jesus has awakened humanity to God’s creational purposes and unleashed his people to live the life that God created them to live. We may say that Jesus came to make it possible for us to be fully human again. God created humanity to serve in a profound role. Humanity is the jewel of God’s creation. God has created each person to serve in God’s mission. As such, humanity lives to connect the reality of God to Creation by reflecting God’s character corporately in community and individually as persons created in God’s image. We must not read these functions as rigid categories or attempt to straight jacket every human being into some clone or ideal. If God is endlessly creative, why should we attempt to “standardize” humanity? Are not we in the Church often guilty of producing “followers of Jesus” who are too often closer to being protégés or a Mini-Me than true reflections of Jesus? If God created every human being with a distinct set of fingerprints, why would we ever want to limit the creativity and skill set of followers of Jesus? It is time for the Church to call people to discover their true humanity in Jesus Christ. It is time for us to Awaken humanity. For a more in depth discussion, see my book (re)Aligning with God: Reading Scripture for Church and World . Bartholomew, Craig and Michael W. Goheen. The True Story of the Whole World: Finding Your Place in the Biblical Drama Faith Alive Christian Resources, 2009. Beeby, Harry D. Canon and Mission (Christian Mission & Modern Culture) Harrisburg: Trinity Press International, 1999. Karl Möller. Grand Rapids: Zondervan, 2000, 268-83. Brownson, James V. “A Response at SBL to Hunsberger’s ‘Proposals…’ Essay.” The Gospel and Our Culture Network. Jan. 28, 2009. Flemming, Dean. Contextualization in the New Testament: Patterns for Theology and Mission IVP, 2005. Flemming, Dean. Why Mission? (Reframing New Testament Theology) Abingdon, 2015. Kaiser, Walter C. Mission in the Old Testament: Israel as a Light to the Nations Grand Rapids: Baker, 2000. Kostenberger, Andreas J. and O’Brien, P.T. Salvation to the Ends of the Earth: A Biblical Theology of Mission (New Studies in Biblical Theology No. 11) Downer’s Grove: InterVarsity Press, 2001. Martin-Archard, R. A Light to the Nations: A Study of the Old Testament Conception of Israel’s Mission to the World. Edinburgh: Oliver and Boyd, 1962. Parsons, Michael. Text and Task: Scripture and Mission Carlisle: Paternoster Press, 2006. Peskett, Howard and Ramachandra, V. The Message of Mission: The Glory of Christ in All Time and Space (Bible Speaks Today) Downer’s Grove: InterVarsity Press, 2003. Rowley, H.H. The missionary message of the Old Testament, London: The Carey Press, 1945. Russell, Brian. D. (re)Aligning with God: Reading Scripture for Church and World . Cascade, 2016.